NHS organisations must upgrade to Windows 10 or risk losing central funding for future IT upgrades. NHS organisations have now been given a deadline to upgrade to Windows 10 and those that miss it will risk losing out on funding for future upgrades. Following last year's Wannacry ransomware attack, growing pressure has been placed on the NHS to upgrade its systems as many parts of the NHS still rely on Windows 7 and even Windows XP. 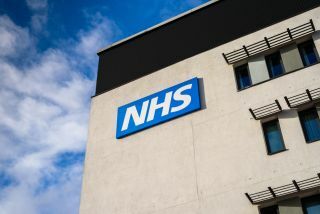 The NHS has now signed a deal with Microsoft for NHS trusts to upgrade to the latest version of Microsoft's operating system with the contract set to run for five years and expire in 2023. NHS organisations joining the Windows 10 agreement will have to commit to migrating to Windows 10 by January 14th 2020 which is also the last day that Windows 7 will be supported by Microsoft. Organisations that fail to migrate to Windows 10 by that time will lose central funding for future IT upgrades. They will also lose out on the enhanced cyber protection offered by Windows Defender Advanced Threat Protection (WDATP). Currently there are no details on how exactly individual Trusts will roll out the upgrades without affecting services though Microsoft has ensured that the Windows 10 rollout will not disrupt NHS services. Legacy systems which can't be upgraded to Windows 10 will still benefit from WDATP though it will not be as effective on Windows 7 devices and the NHS has also made it clear that devices that are unable to receive the upgrade or be replaced will still be protected.